The following links will help you find the parts you need. Just click a category. Amtran was formed in 1980 to purchase the bankrupt assets of Ward Industries and they used the Ward name until 1992. By 1995, Navistar owned all of Amtran. 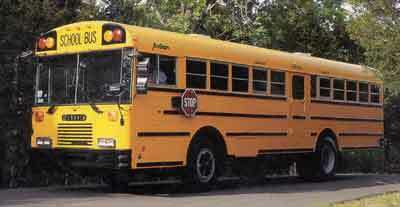 From about 1984 through 2002, the Ward conventional Type-C bus was known as the Volunteer. 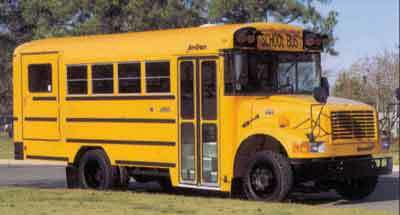 The Type-C bus then became known as the Amtran IC, was changed to the IH-IC, and finally to CE200 or CE300 depending on the chassis engine. The Amtran Genesis was a front engine forward control bus mounted on an IH chassis. It had evolved from the Ward Senator and President. In about 1996, Amtran introduced a rear engined Type-D bus called the Amtran RE. Present models are called the FE300, RE200, and RE300. Amtran phased out their production of the Type-A Vanguard in 1996. It had primarily been produced using 30-Series GMC and Chevrolet chassis. We have hundreds of Amtran part numbers interchanged in our database. We can help you get the exact part you need very quickly.